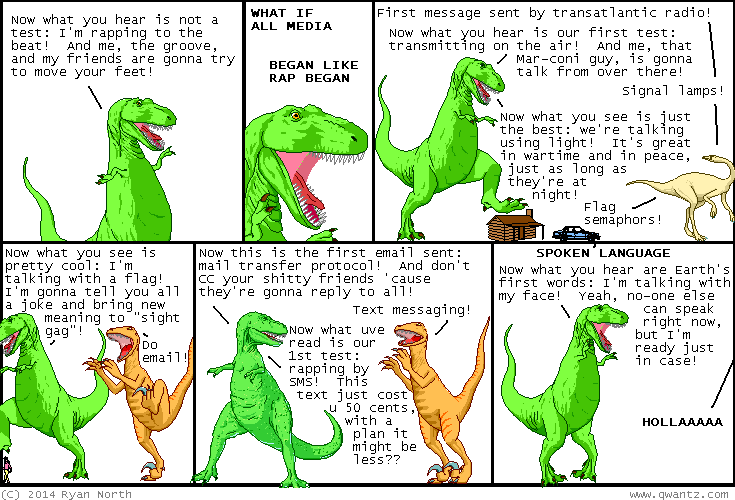 Dinosaur Comics - September 10th, 2014 - awesome fun times! –But later Timmy dumped Sally, and Sally was really sad! September 10th, 2014: Did you know that I have ITEMS for you? I will sell you one or more items. If you are interested in items, good news! !